This year, Iowa’s state-owned beaches set records for the number of health advisories issued for high microcystin levels. Microcystin is a liver toxin that can form from cyanobacteria, commonly called blue-green algae. 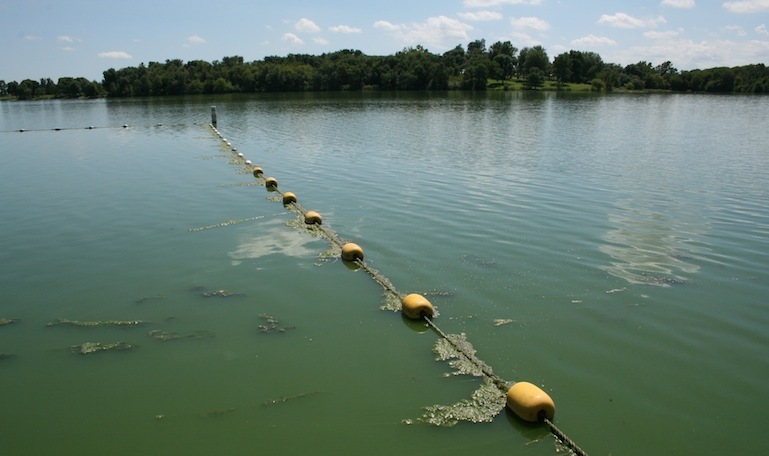 The algae can form large blooms during the summer months, filling lakes with green or blue sludge. Only some strains of cyanobacteria produce the toxin and scientist say it is hard to predict when the toxin will be produced. Quiz By: Lauren Mills/IowaWatchSource: U.S. Environmental Protection Agency, World Health Organization, Interviews with Mary Skopec of the Iowa Department of Natural Resources, Iowa State Toxicologist Stuart Schmitz and Steve Ensley, a clinician with the Iowa State College of Veterinary Medicine. Test yourself with these IowaWatch news quizzes. The presidential race is heating up in Iowa but also other states. Each state has its own way of determining which candidate from the Republican and Democratic parties will get support. These three questions should help you understand Iowa’s method – the precinct caucuses.